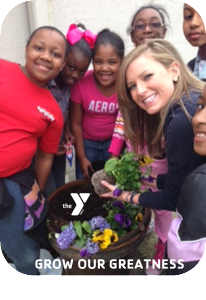 Our Y has been listening to and responding to our communities’ most critical social needs for nearly 150 years. That history has taught us that lasting personal and social change only comes when join hands to work together and support one another. That’s why we’re committed to fostering a sense of social responsibility in our community by providing opportunities for people to give back, make meaningful connections with one another and develop the community support and resources needed to meet our region’s most critical needs. Science is starting to prove what the Y has long known: that when people form positive and mutually supportive relationships with one another, they can accomplish remarkable things for both themselves and their community. From group exercise to teen centers to senior social clubs, the Y seeks to provide opportunities for people of all ages, backgrounds and incomes to make meaningful connections with one another. As a volunteer-led organization, the Y recognizes the mutual benefit that results when people share their time, talent and financial resources in support of a cause larger than themselves. That’s why we’ve made it a priority to develop new systems to both help the Y engage its current volunteers and encourage others in our community to give back and support their fellow neighbors. Recognizing that we must work together to move our community forward, the Y seeks out relationships with local schools, nonprofits, businesses, churches and other partners who wish to join hands in our effort to give everyone the opportunity to learn, grow and thrive.